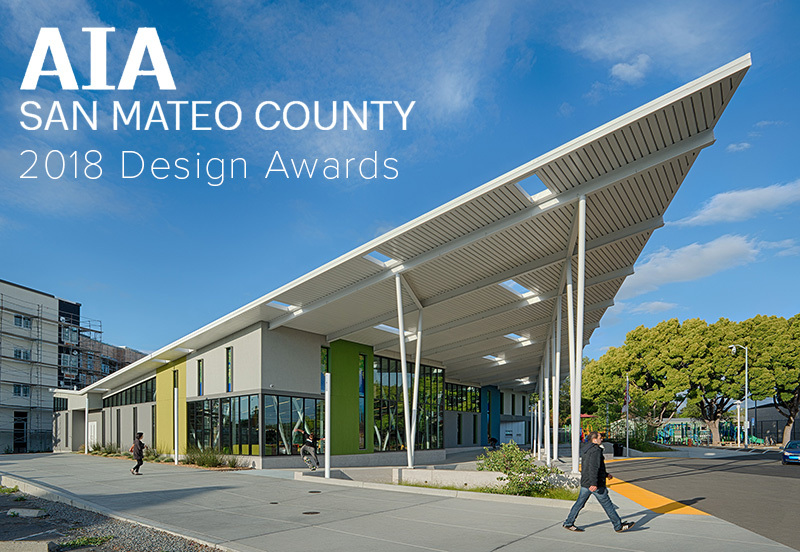 On November 8, AIA San Mateo County honored the San Lorenzo Library with a Citation Award for Architecture. The library was one of seven honored projects, and the only civic project among the winners. The jury – composed of San Francisco architects Anne Fougeron, Peter Pfau of Pfau Long Architecture, and Christopher Roach of Studio VARA – celebrated the library project, in part for its responsiveness to community needs, and in part as a public building that retained its expressive design values. The San Lorenzo Library renovated and expanded a mid-century library building, reflecting the original building’s sense of openness and steel truss framing while engaging the community through features such as its expressive deep-eaved overhang, visual connections, efficient operational layout and flexible interior spaces. We are honored that the San Lorenzo Library was recognized by our peers in the architecture community for its effective and inspiring public service! Photo by Technical Imagery Studios.